Numerous conservationists look into the damage humans are doing to ocean life because of overfishing and the pollution of plastics. It might seem hopeless sometimes, but if one really tries, they can make a difference. "Blue" is a documentary written and directed by Karina Holden, who has made numerous made-for-TV documentaries in her career, including "Samurai Spider" and "Hiss of Death." Her latest documentary explores the diminishing health of our oceans and the life found within it. Holden speaks with numerous conservationists and researchers about the effects industrialization has on our natural world. 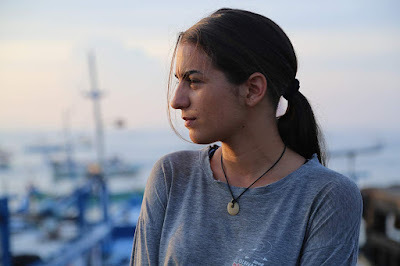 This film explores how industrial fishing has depleted the supply of fish at a rate faster than it can be replenished, how plastics and other human-made debris in the waters impact the sea life, and how pollution from coal mining is creating a toxic environment and is killing off coral. 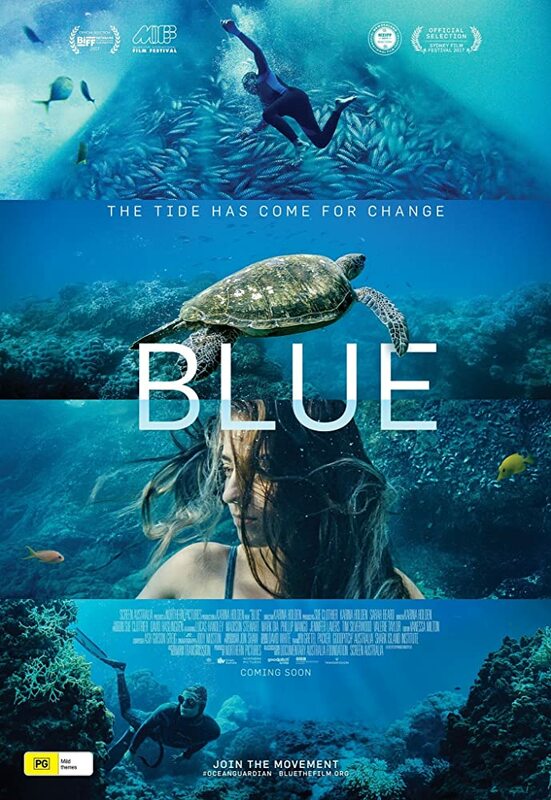 Like many films about nature conservation, "Blue" wants to appeal to the empathy and hearts of viewers around the world. Broken into several segments, we are shown many images that are hard to witness. It's difficult not to feel sad while we are faced with photos and videos of animals getting slaughtered and dying. We see sharks having their fins cut off and then being dumped back into the ocean. 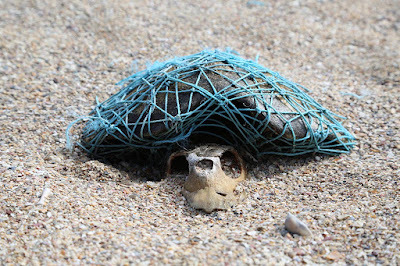 We watch as turtles get caught in ghost-nets (nets that have been cut from fishing boats and now float freely in the ocean) and get drowned to death. 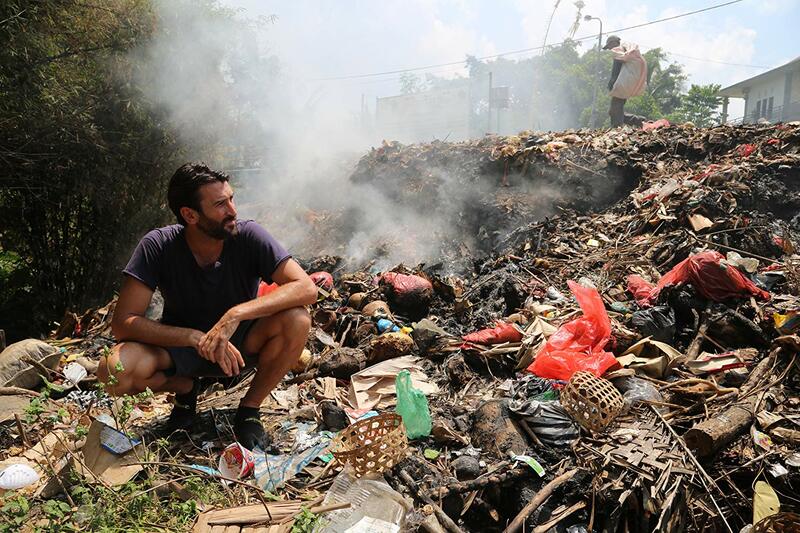 We see the process of birds getting their stomachs expunged because they are full of plastic waste products that are slowly choking them to death from the inside. Each scientist and activist explains their area of expertise as they lay out the details of why it is important to end these activities sooner rather than later as they each have a monumental impact on every facet of our world. Plastic is a big focus of "Blue," and the film stresses its inability to break down naturally. BigJ and I both distinctly remember learning about this in grade school over 20 years ago, so why it still needs to be said in documentaries in 2018 is beyond us. It is baffling that we have not learned yet. The movie also conveys how reliant our world is on plastic, from plastic bags to plastic bottles and even the plastic in our clothes. The stuff is everywhere. "Blue" really strives to appeal to the better nature of mankind to convince viewers to care that sharks are being slaughtered for soup, turtles are suffering and drowning, the tuna supplies we eat on our sandwiches and in our sushi are getting depleted at an unimaginable rate, and that coral as we know it will become extinct within our lifetime. From a technical standpoint, we do think that those behind the scenes indulge a little too much in the use of slow-motion for dramatic effect. We think it hurts the overall pacing of the film, and despite only being 76 minutes, it feels a little longer than it actually is. "Blue" is a compelling documentary that deals with important issues that are STILL facing our world this very second. Though you've probably heard these statistics in some form or another in your lifetime, these issues are worth our concern, they are worth our research, they are worth our knowledge, and they are worth changing for.